We Guarantee You'll LOVE the Retinol Moisturizer Cream by Baebody™ or Simply Ship It Back To Us Within 60 Days & We'll Refund Your Money! 3) Gently Massage into your skin with circular upward motions. Helpful Tip: Use sunscreen daily as Retinol increases sun sensitivity. Use only as directed. Avoid direct contact with eyes. If product gets into the eyes, rinse well with water. 2. How often should I use Retinol Moisturizer Cream by Baebody™ for the best results? 3. Is there any reason I shouldn't use Retinol Moisturizer Cream by Baebody™? 5. Where is Retinol Moisturizer Cream by Baebody™ Made? Retinol, Vitamin E, Vitamin B5, Shea Butter, Green Tea, Jojoba Oil, and more! Its great as a moisturizer but I didn�t notice any difference to my fine lines. I have very dry skin, so I am good with this just being a good moisturizer. The jar and dispensing is great. It's a tap dispenser and I really like that. The moisturizer is light and a perfect consistency. I really like how well it absorbs into the skin and how quickly. It isn't greasy at all. There's no residue left behind. I highly recommend this moisturizer on these reasons alone. As far as skin improvement, etc, I'll have to update as I see results. I have naturally oily skin and this does not contribute to that. It's just a great product. This is a great moisturizer. I appreciate the airless packaging and that it is fragrance free. I've been using it for about a month, and I do see improvement in my skin. My 2nd bottle to purchased . That i had to share it with my mom . . Super silky feeling after putting all over my face . Use every after shower before bed time and morning to work ! Awesome item ! I don't know about the retinol , however, this is an Awesome moisturizer! I even put it on my arms, and legs, you cannot belive how smooth my skin is. I am hoping that some of my summer tan spots, will fade. I highly recommend! Baebody Retinol moisturizer seemed to really help with minimizing fine wrinkles and sun spots. Love love love this! Goes on smooth, makes my face super soft. I will continue to use it as long as it's available. I bought the product recommend by a blogger. I was skeptical with it being so reasonable. Very happy with it. Very reasonably priced. The cream is light and nice. Works for me. I break out easily when the moisturizer is too heavy - I have combination skin. This moisturizer has been awesome, and I can definitely tell a difference from using it in terms of the retinol etc that's in it - my skin looks and feels much better. Definitely worth the price, and last a long time. Purchased at a reduced price but would gladly purchase at regular price. Not greasy and absorbs quickly leaving a super soft result. Haven't used that long & am hoping for great results. I use it morning & night. The product goes on quite thick but is quickly absorbed. I'm very pleased with baebody Retinol Moisturizer that I purchased at a moderate discount. I've used it a few times since receiving it and have been satisfied with the results so far. The consistency of the moisturizer is not heavy and does not appear to clog my pores. My skin feels soft and looks brighter after use. I've also used it on my neck and chest and have noticed that it effectively tightens my skin. The fragrance is pleasant--fresh and clean without smelling like chemicals. I would purchase it again. My only complaint is in the packaging. It was wrapped well in bubble wrap in a box but the screw top wasn't on properly so when I opened it a large portion fell out. It didn't affect the product, however and I am pleased with the cream. This is my go to moisturizer. This is my 4th order. My skin just isn�t the same without it. Notice firming and less redness. Buy it! I just started using this product but it does make my skin feel very soft. It is as described. I love this! My face is soft, doesn't feel dry whatsoever & there's no leftover oil hanging out on my skin! I like the packaging, too. I have been trying lots of moisturizer creams but this one did the trick. I bought this as a promotional item however this opinion is mine. I like that way the cream is delivered. By pressing you get enough to apply and avoid contamination of the rest. So far I like the results. Love retinol cram leaves skin feeling hydrated. I love the pump on this cream and it works great. It is not irritating on my very dry skin. Great cream! Helping my dry skin around my eyes. Smoothing out and softening my skin.Only been using for a week but have noticed a difference. Seller replied back to me with my concerns. Great customer service!!! This has made a difference in my old over 80 skin. I was surprised as I figured it was like the rest of the claims. It did not take the wrinkles away as much as I would have like but it Lightened a good portion and helped the bags under my eyes. Was even told after major surgery that I looked great considering the surgery I had gone through. I am getting ready to order my next jar. I was hesitant to purchase a product with retinol, due to my extremely dry sensitive skin. I have tried many high end products, but this moisturizer is AMAZING! I goes on so smoothly, and I can immediately feel my skin soak it up! I use it before bed and in the morning. It makes my makeup look dewy and not flaky. Highly recommend! I've been moisturizing my face faithfully for 10 years. I decided to switch up my old product and try something new. This by far had a very clean feeling all day. Never oily or greasy feeling. My face has never been so smooth! It feels good going on, will let you know if it works in a couple of weeks! Great product, great price. I will buy it again! Recommend. Has an easy dispenser. So easy to use and feels great on the skin. I use it twice daily, even under makeup..
product arrived quickly, first try I was a little unsure that I liked as it left my skin a bit more oily than I was used to, however, within the next couple of days my skin really started to absorb the excess and its nice. Has an unscented smell, has a nice push top to dispense moisturizer, or you can unscrew lid easily as well to see how much is left. I will purchase again. The only reason I didn't give it 5 stars is because it doesn't "tighten" skin as well as some others I've used before. Seems like nice cream. Doesn't cost an arm.and a leg. I hope the active ingredients do help stop wrinkles. Love Love Love this product. I highly recommend this product for anyone but particularly women with a darker skin complexion that might have discolorations and want to even those out. I've been using this product now for a few months and started out with a few discolorations on my face around my nose area and the spots have left and my skin looks even and smooth. I apply the product at night and in the mornings before applying makeup which now I don't need to use much makeup at all. At 55 years old I love the way my skin feel and look!!!! Great moisturizer. Left my skin looking younger and much more radiant. I really like this and am sure it will work. i love it it leave my skin more clear i have age spots and wrinkles it do it less noticeable i buy it with a discount for my review. Nice cream. Pump works nice, don't have to worry about germs as much. Only used it for about two weeks now so I haven't seen no difference in my skin of course. But I like the feel. This is great moisturizer. Not greasy, feels light on my face. It has a unique dispensing method. Push on the top and it gives a metered dose every time. This was my first time buying from this company and I would surely be a return customer. Super fast shipping! Thank you. Leaves my skin moisturized and fresh. No dry patches or oiliness throughout the day. I love this cream so much! My skin feels so soft after using this moisturizer. Recently I had breakouts and it leaves dark spot around my mouth area, it it's very disturbing to look at it so I have to apply concealer all the time. After a week or so of using this cream it helps fade my pimple spots! It"s amazing that it works wonder on my skin. Though I got this product on a promotional discount but based upon on my experience of using it, I truly recommend this. It's the best moisturizer cream. Thank you baebody for giving me chance to try your product and share my experience with it! Makes me feel like I have my peaches' cream skin again!!! The results are "almost" instantaneous and so SOOTHING!!! Thank you baebody for letting me test your great product for free!! A few months ago, I noticed some very fine lines in my face and did not like it. I did some research in the web to see what can I do on myself to take care of it and to improve my face skin. I found out retinol is one of the best products one can use to take care of this tiny fine line and improve you face skin. So, when a Review Kick offer with Retinol came in to my inbox I accepted it and got with a great discount price. I started using it and I really can see the difference in my face. My skin is very, very smooth and the fine lines are gone. So in love with this cream and highly recommend it. I have to say it does make your skin tingling and itch for a little bit until it is absorbed and it also advice to try it first in your hands or ask the advice of your physician. This item is incredibly popular for a reason. Every product claims to reduce the appearance of wrinkles and even skin tone with minimal results. So I was fully shocked to see this one actually does the job. I usually don't write reviews, but this has lightened my wrinkles and made my skin look so good, I absolutely had to. You will be just as pleasantly surprised as all of us if you buy this product. The claims are 100% genuine. I will be buying again and again. Retinol is the excellent source of clear skin. My face feels soft and moisturized after applying Baebody moisturizer. I really, really like how it dispenses! Just squirts a small amount at a time when you press the top. There's no mess and you don't have to stick your fingers in the jar, contaminating it. Love it! I really like this product! My face feels smoothe and firmer. I have purchased this as Christmas gifts for a few of my friends this year! It's easily absorbed, is lightweight, does not leave my face feeling greasy, heavy, or dirty. I absolutely love this moisturizer as it smooth out my face and brightens my face. Very nice! Lightweight and pleasant, light scent. My skin feels so soft and hydrated. Nice and clean moisterizer. Would use again. Works really good but my face is really dry. I just started using this cream so I haven't experienced any of the long term effects of it yet. so far it seems to be a great moisturizer. My face absorbs this well and it's not greasy feeling which I like. I only gave the cream 4 stars because I don't care for the scent of the cream that much. The container is nice with a pump on the top part of it. I will write another review after using this for a few more weeks to see if I notice any other effects. Been using and I actually see different changes in my face. I can't wait to see how many more changes I see. I will be back to give a review again in a couple of weeks! Thanks for the changes in someone in there 50, hoping to look atleast 5 to 10 years younger! I bought this in July because it was on some kind of sale. I love what it's done for my face. I was completely skeptical but it's made significant improvements in my self-conscience areas (mostly scowl/laugh lines in my forehead). I'm a believer! Skin helper !! I love it. I come in new designed vertical dispenser which I have seen and used for the first time. It does not smell weird and spreads evenly on the skin. I was not sure how this skin will react as I have sensitive skin so I started using it every night at first. No redness, no rash or any kind of ichyness afterwards. I loved the way my skin felt so I started using it two times a day in morning and at night for better results. I sometimes use this as primer or undercoat beneath my foundation as it helps foundation to spread evenly. Plus point is all natural ingredients and cruelty free which means guilt free as no animal testing done. The product is totally worth the price listed. Overall happy with the purchase and will continue using it. Received for free or at discounted price for a fair and unbiased opinion. All statements made are my own and are honest. If you found this helpful please click on "helpful" button. Thanks !! this is a wonderful facial cream the dispenser system is one of a kind ,just push down on top and it comes out depending on how hard u push. The retinol moisturizer is great for all types of wrinkles. Definitely can tell a difference. Face is much smoother and brighter. Was worried because my face tends to be sensitive, but had no issues. Did a test area to be sure at first. Considering purchasing more products from this line. I love this product for its collegen benefits, repair of photo damage and protection of the dermis (under the skin) from UV rays. I'm looking forward to more results and highly recommend. I'm very happy with this moisturizer cream, I received the product really quickly too. So far I'm pretty satisfied because it does not fee greasy or oily, however it does take a little while to the skin to absorb the cream. But the result is pretty great! My skin now is very soft, and that is what I need after I spent too much time under the sun light without a sunscreen. I have used this product for 3 months and i am just now having to reorder. This moisturizer is very good for dry skin. I have completely overhauled my skincare routine, and some acids make my skin dry. This moisturizer works very well to get rid of the "flaky" skin. I literally notice an improvement overnight when my face is severely dry. The only negative is it leave a very oily finish. I�m on my second bottle of this. I use it every night after washing my face before bed. You don�t need a lot, just one push of the dispenser is enough. I have sensitive skin and had no issues. "Moisturizer" is a title few creams can have. Most of them preserve the skin elasticity. But whenever there is retinol you have a real moisturizing cream. This feels good on the skin and it's not too aggressive. I used Obagi creams that contained 1% retinol and you feel like you sunburned. It's a harsh treatment, it cannot be done for more than once / twice a year. Between strong treatment, this lotion is great in my opinion. I can tell the retinol is there and working but it's not too aggressive. Make sure you keep your face exfoliated and you'll get the best out of this lotion!!! Thanks to Baebody for allowing me to get this cream with a discount for testing and reviewing purposes. Great moistutizer, love how it makes my face feel. THIS IS THE BEST. The packaging is so convenient . You press the button and in the middle it pumps out the formula so,you don't have to waste the product. Th directions say to use on washed and dried skin and pat on the product and use in either morning or night. This product was not tested on animals. 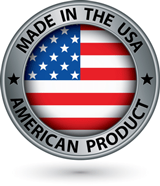 And was made in the U.S.A. The ingredients also contaian Sunflower Oil,so if you are allergic soand other oil like jojoba I wouldn't recommend this product. This stuff is rather good. Though I haven't been using it for very long. The only thing I'm scratching my head about it the pump it comes with. I understand it's not sanitary to stick your fingers in the cream but I usually put it on after I was my face. It smells like typical retinol. Started using this last week and I love it. Usually my skin doesn't take well to new products but day or night, my face loves this moisturizer. It's light and absorbs well and doesn't seem to sweat off like others in the summer. Definitely would suggest it! A good moisturizer! Improves skin texture. I like the container, as it pumps out the cream so you dont have to worry about dirty fingers getting in your product. Its very light weight and non greasy. I like how it makes my face feel rejuvinated, soft and fresh. I received free for this review. Has not caused skin irritation like some other products I've used. Love the way it feels on my skin. Non greasy and goes a long way. My skin has felt softer and smoother since using this product. I use it every night at bedtime. I've also noticed my skin around my chin has cleared up a bit! I received the item wrapped in bubble wrap. Out of the box-- ha I could not figure out how to dispense the product! Just push on the top and it dispenses a small amount. I noted no scent to the product- does not feel oil. It has a lot of natural products which is great. Will let you know how it works! This is a great face cream. I have been using for two weeks, morning and night and definitely see a difference in the clarity of my skin and in the fine lines around my eyes! Recommend very highly. Love the jar! 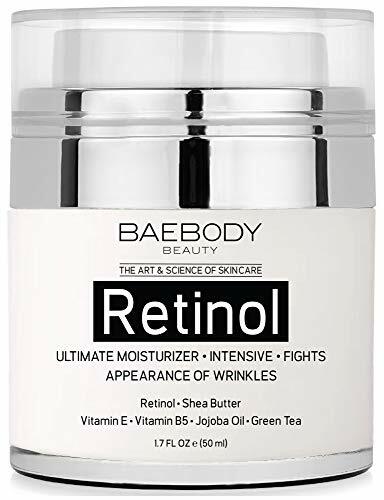 I have used Baebody Retinol Moisturizer Cream for around 2 years now. I really like it! It works very well to keep my face and neck soft and moist, and does seem to help reduce the appearance of the lines and wrinkles on my face and neck. I would recommend this cream. This is a nice product. Retinol is one of those things we need in our skin care regime, and I know there aren't going to be overnight miracles, but this product pleased me in several ways. First of all the design of the dispenser is great. It is a good size jar, and then you just push down the top of the jar after removing the cap, and the perfect amount dispenses. I have attached pics to show what I described. There is really no scent, and the product applies nicely, doesn't feel sticky or greasy. I was able to receive the item at a deep discount for my review. I hope will help with my dehydrated skin and minimize those pesky wrinkles with continued use. This kept my skin feeling great. It is nice and light while keeping my skin moisturized. I didn�t get a greasy sensation at all, which I�ve experienced with other products. There are many things I like about this product. First of all when I received this cream I was impressed with the jar. I have never seen a cream with the pump this one has on top. I also like the fact that you can unscrew the lid to open the jar and get all the cream when you near the end. Often the packaging on other products does not offer this feature. I noticed when reading the back of the jar that this company does not test on animals. Being an animal lover this was a plus for me. I know retinol is a healing ingredient and was happy to have this part of the cream. The lotion itself is white and creamy. It goes on easily and is absorbed quickly with no greasy feeling. I often use a serum first, but at times if I am in a rush I would feel fine with just using this moisturizer all by itself. I bought this at a reduced price as I am a reviewer but would recommend it at its regular price for its quality. I been using this product just for a week then I think it is good. So far I see some improvement. I hope the product will be as good as people recommended. I normally have very dry skin and this moisturizer has helped tremendously with that. My skin no longer feels dry and tight. I have also noticed a reduction in breakouts since using it. Great moisturizer and a little goes a long way. Love the dispenser too. Great value. I apply it before my makeup and gives me an instant glow. Light texture and fragrance free. I really like this moisturizer. I'm excited to have this product. I find it makes my face soft and smooth. I will purchase again. I've been using it for about a week now and my favorite thing about it is that it doesn't leave my skin greasy like other moisturizer's do. I will buy again! Baebody retinol moisturizer jar is nice. At this time I can not give my opinion regarding this product. When I start using it within a month or so I will review it and at that time grading will remain or change. Love the product, can tell a difference in my face for sure. The dispenser never worked though had to just take the too off. This moisturizer is great. It does not leave my face feeling oily at all. I have oily skin and it always seems to get worse or make my makeup slide off my face when I use moisturizer. I have not had that problem with this product at all. You take the lid off and the pump is the top of the jar. I was not sure how to use it at first but it is easy and I like how it comes out. I only had to put a little of the product on my face - it went on smoothly and blended right into my skin quickly. I am pleased with this product. I have received this product at a free or reduced price for an honest opinion of the product. I simply love this cream! Moisturizers are an important part of my daily routine and though I have never used a product that contains retinol I decided to give this a try. The formula is very creamy and absorbs quickly. My skin feels absolutely luxurious after using this. So far I love this moisturizer cream and would recommend it to others. I will update in the future to give a more detailed review when I have gone though at least half of the bottle.